Valley Forge, PA – It was a feast for the senses this weekend at St. Sophia’s Greek Festival. 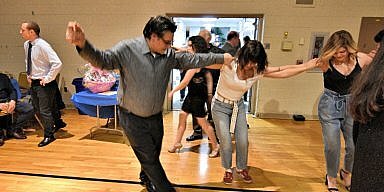 Attendees were treated to the area’s best Greek food, dancing and music. Folk dancing was performed throughout the weekend under the big tent and inside the church hall. 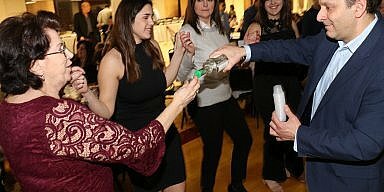 The churches youth groups known as the “Asteria”, showed off traditional dances from all over Greece, while beaming parents looked on. Attendees, snapped up the moments and then joined in the fun, dancing with the locals. Games and rides covered the extended property where kids played. The scents of Greek food mingled the visitors who enjoyed their meals while looking on at the glistening Byzantine church. After a meal and a cup of Greek coffee and sweet, many took the church tour. The latest stage of iconography had just been completed at the entrance to the unique Byzantine Orthodox church that continues to add new frescoes to it’s church walls. Throughout the weekend, festival attendees were seen inside the church admiring the wonderful iconography. 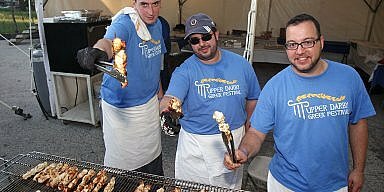 The four day festival kicked off Greek Festival season around the Delaware Valley and continues through October.